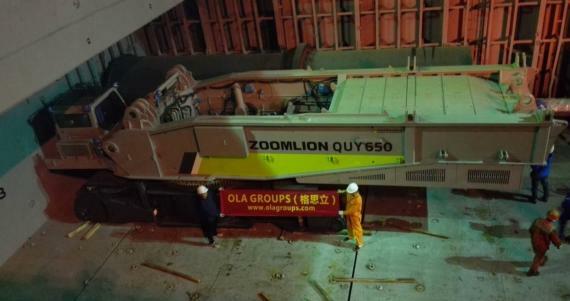 OLA Groups Logistics are members in Hong Kong and have recently arranged the breakbulk shipping of a crawler crane (QUY650) to Malaysia. 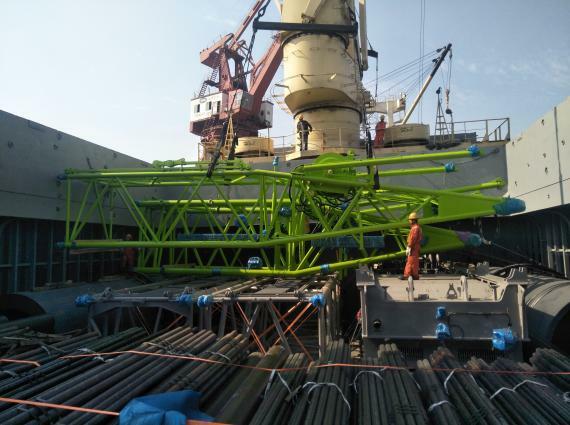 The crawler crane was shipped in 108 pieces with a gross weight of 1,940mt - click on the gallery below for photos of the operations. 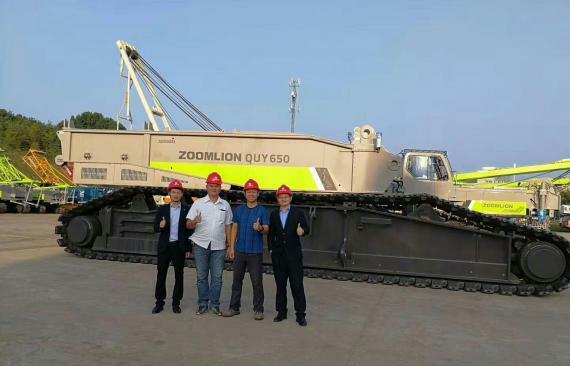 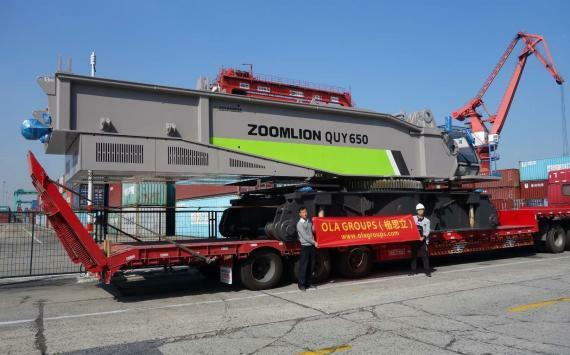 Lane Zhu at OLA Groups Logistics states; "This crawler crane, with its maximum lifting capacity of 650tns, is the biggest crane that China has ever exported to Southeast Asia! 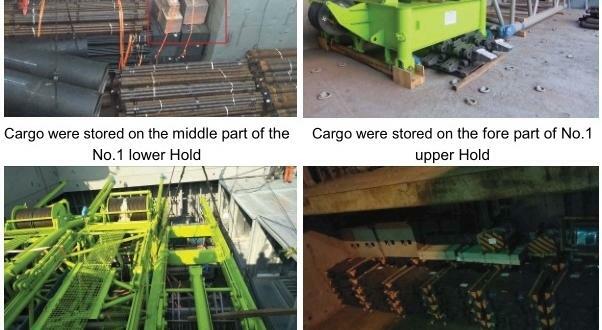 It will be used for the Kuala Lumpur Metro Project in Malaysia. 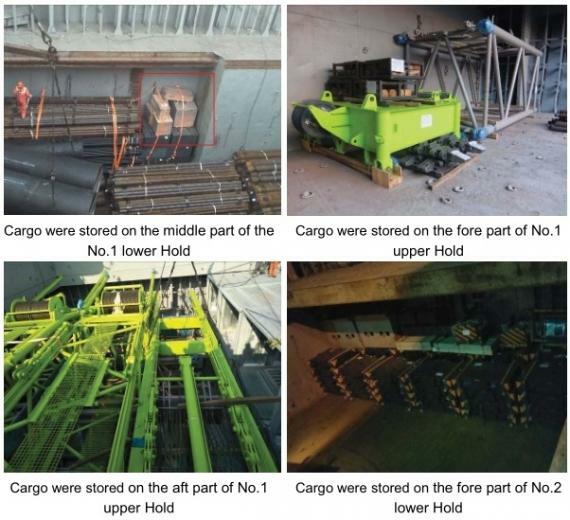 Before loading, we discussed with the C/O, port captain, foreman, and lashing foreman regarding stowage, dunnage, lashing plans to safely secure the cargo. 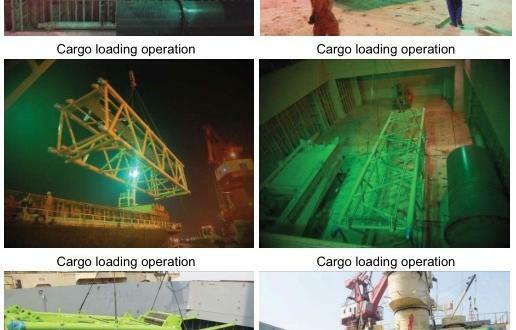 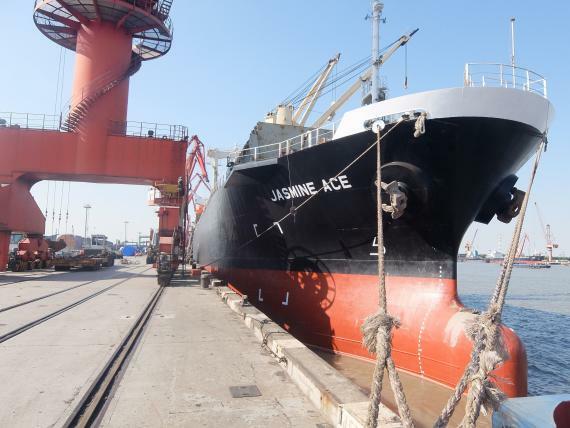 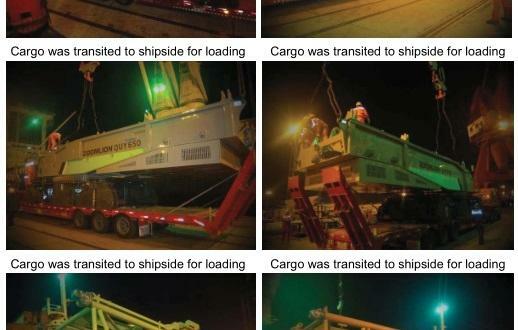 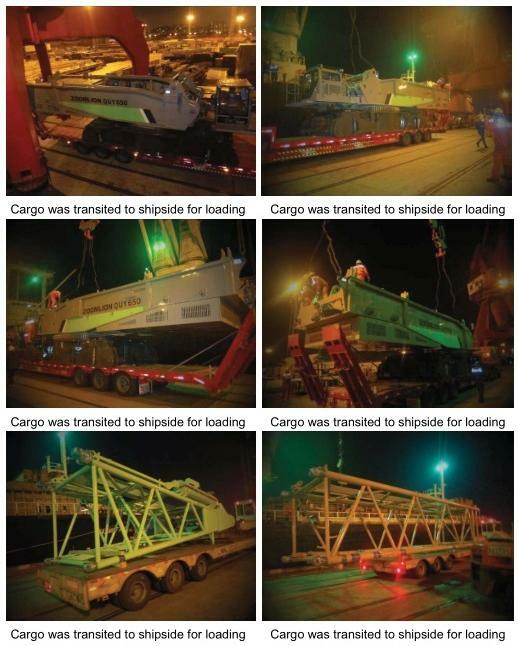 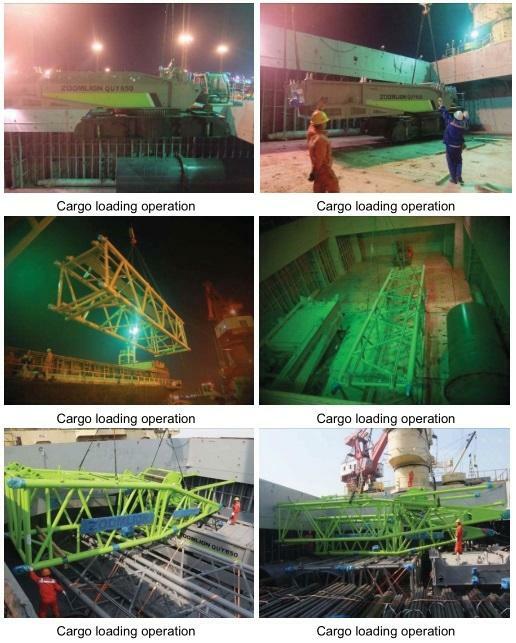 All the cargo was transported to the ship's side by trailer before directly loading the main engine, two caterpillar bands and other pieces using 2 ship cranes and 1 shore crane with 4 steel lifting lines."